It all started one summer day in 1869 when Mary Walsh, a poor Irish immigrant girl, came to the United States and settled on the east side of New York City. She secured employment as a laundress with a wealthy family. On her way to work on an August day a child's cry of distress caught her attention. She saw the child – about seven years old – sobbing. Gently, she tried to comfort the frightened little girl who told Mary Walsh that her mother was upstairs ill, and she did not know what to do. Mary went upstairs with the child and found the child’s mother lying gravely ill, a dead infant by her side. Her prayer was, “Dear Lord, aid me. Tell me how to help.” During the next few days, Mother Mary Walsh sacrificed her much-needed job and devoted all of her time to helping this “helpless” family. From then on, having seen the desperate plight of the poor with her own eyes and felt it with her own heart, she dedicated herself to a lifetime of charity and mercy. This incident was to influence her whole life. Though not conscious of it at that time, she was laying the foundation of her real vocation as a benefactress and friend of Christ’s sick poor, no matter what age, race, creed or color. 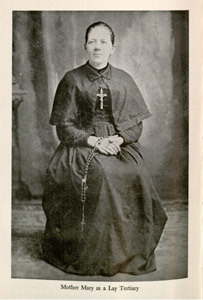 Mother Mary Walsh made plans for the work to be carried out in other parts of the United States, including Denver, Colorado. Although she died in 1922, four Dominican Sisters carried out her plans later that year on the invitation of Denver Bishop Tihen. 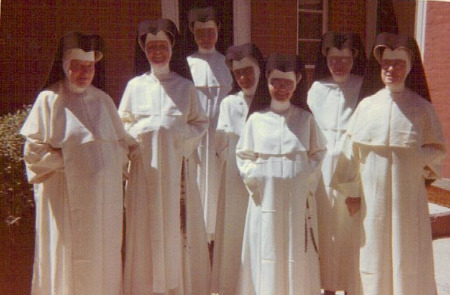 Through the joint efforts of the sisters, Father Charles McDonnell, S.J. (pastor of Sacred Heart Church and Loyola Chapel), The Knights of Columbus, the St. Vincent de Paul Society, and the Ancient Order of Hibernians, a house was found at 2501 Gaylord Street where the agency still resides to this day. "What a privilege it is to work for the sick poor!" Mary thought they were "the children of God crucified on the Calvary of Life." For those wanting to continue this legacy, DHHA has established the Sister Regis Nuva Society to honor donors who contribute to the agency's work through a planned gift. When you name Dominican Home Health Agency in your will, or as a beneficiary of a life insurance policy, IRA, CD, or other securities or assets, your name permanently becomes part of this society. Born in New Jersey to Italian immigrant parents, the youngest of seven children, Sr. Regis Nuva was always attracted to the Church. 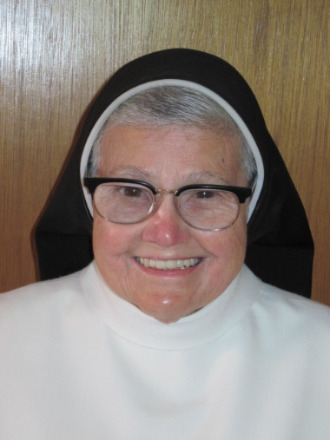 She entered the novitiate of the Dominican Sisters of the Sick Poor in 1951, made her First Profession in 1953 and Final Profession in 1957. When asked by her superior to choose between being a dietician and a nurse, the choice was clear. That night, all she could see were the faces of patients in need. She earned her RN from Misericordia School of Nursing (NY) and served on nursing assignments in Ossining, NY (1951-1957) and in the Bronx, NY (1960-1961). In 1961, she arrived in Denver on assignment to join with eight fellow nuns to serve the poor, sick elderly in the Denver Metropolitan area. In 1989, the Sisters turned over management and governance to a Board of Directors and established what is now Dominican Home Health Agency. To be a nurse is a gift. It was wonderful caring for the sick poor. I can’t think of anything better than to serve those who are marginalized. My fellow Sisters and I worked hard and loved our patients unconditionally. Each one of them was precious. Oftentimes, they thought that God might have forgotten them. Then we came into their homes and made them realize that they were important people whom God loved abundantly. It was so lovely to hear them say how we brought hope back into their hearts. That was just the most beautiful thing – that someone cared for them and it helped them to turn their lives around. We were guests in their homes and treated them with respect, honor and dignity. That was the essence of it. It’s really so simple, actually. I love the Dominican Home Health Agency. It will always be sacred to me. It is my wish that this organization continues well into the future. Thank you for supporting us and our work. Without you, this agency couldn’t survive. Without your help we could not go on. We are deeply grateful for all you do for us. You are all “la famiglia” to me and I love each and every one of you. Please continue your support of Dominican Home Health Agency so that we may continue to change lives for years to come.